The organisation has been able to survive and grow over such a long period of time because it has always reinvented itself when faced with challenges. When it became clear that despite good forest, soil and water conservation work the productivity of agriculture was not increasing enough, efforts were made to tackle this problem. This was also the time when the problem of Climate Change came to the fore in a big way a few years back. Carbon dioxide emissions from the heavy use of gasoline-powered agricultural machinery that modern techniques require. Carbon dioxide emissions from the deforestation and burning of land to convert it for intensive agriculture. Loss of soil and forests as carbon sinks. Natural vegetation acts as a huge reservoir, soaking up atmospheric carbon, as does the soil. Destruction of the plants and the disruption of the soil that occurs when land is converted to agriculture decrease the available of these sinks, meaning more carbon is left in the atmosphere. Conventional farming techniques also increase soil erosion and the leaching of soil nutrients, which decrease the use of soil as a sink. Rough estimates are that man-made changes in land-use have produced a cumulative global loss of carbon from the land of about 200 thousand million tonnes. The use of synthetic fertilizer releases huge amounts of N2O – it is the single largest source of N2O emissions in the world. The application of fertilizers accounts for 36% of the total emissions of N2O. According to the IPCC, if fertilizer applications are doubled, N2O emissions will double, all other factors being equal. Since regular applications of fertilizer are an integral part of modern farming, and as the developing countries adopt more of these industrialized agricultural practices, this is a realistic situation. Remembering that N2O has over 300 times the warming potential of CO2 and can stay in the atmosphere for about 120 years, the effect on global warming could be devastating. Methane released from animals and manure piles. Manure storage and treatment systems equal 9% of total CH4 emissions and 31% CH4 emissions from the agricultural sector. Most of the CH4 emissions come from the liquid-based manure management systems that are commonly found in modern livestock farms with large populations of animals. Apart from this the indirect contributions of modern farming are even greater. The manufacture of synthetic fertiliser is one of the most intensive energy processes in the chemical industry, which itself is a primary energy user globally. Add into this the need for the fertilizer to be transported to the farmer, and we find that synthetic fertiliser is the largest producer of CO2 emissions in the agricultural industry – even considering all the tractors and equipment belching out exhaust fumes. The use of synthetic fertiliser tends to acidify the soil, which then requires the application of lime to balance the pH; manufacture of lime also produces CO2 emissions. Finally, synthetic fertilisers suppress the soil’s natural micro-organisms that break down methane in the atmosphere, which leads to higher levels of methane than otherwise. The soil micro-organisms are largely responsible for controlling soil temperature and water run-off, production of vitamins, minerals and a host of plant hormones, not to mention that soil micro-organisms provide much of a plant’s immune system so reducing their population is harmful. Thus modern agriculture is unsustainable from the point of view of its harmful contribution to global warming. Sustainable internal input agriculture on the other hand is more energy efficient and results in lower greenhouse gas emissions than modern external input agriculture. Research has shown that organic arable production is about 35% more energy efficient, and organic dairy production about 74% more efficient per unit of output than non-organic production. Organic farming, by definition, prohibits the use of synthetic fertilizer, using instead a limited amount per hectare of organic matter and knowledge of soil biology. Since the pH of the soil is not disrupted by organic farming techniques, the use of energy–intensive lime is also minimal or non-existent; again contributing to lower CH4 and CO2 emissions compared to modern external input farming techniques. The use of organic matter also increases carbon content in the soil, storing up to 75 kgs of carbon per hectare per year. Organic farming uses nitrogen-fixing plants as cover crops and during crop rotation, which help to fix nitrogen in the soil rather than releasing it into the atmosphere. 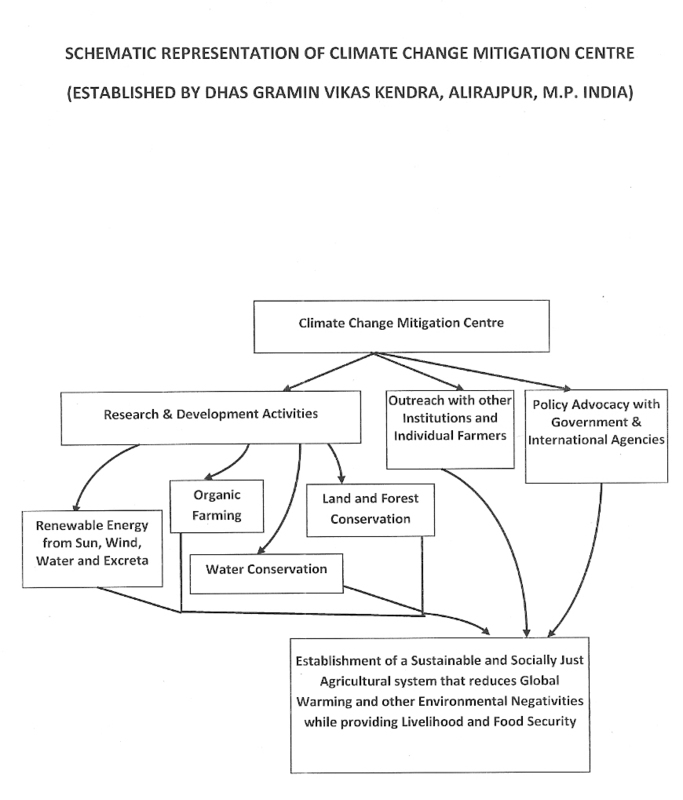 And finally, organic farming techniques maintain soil micro-organisms and so help in oxidizing atmospheric methane. 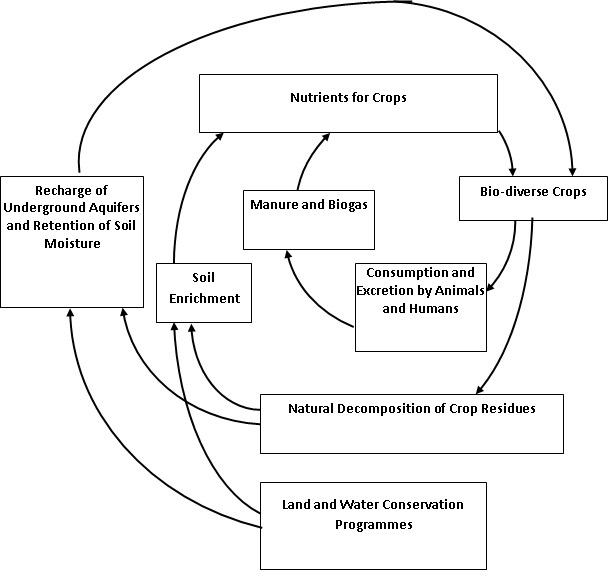 The combined effect of all the different benefits of organic farming produces a Global Warming Potential of 36% that of modern external input farming.